Amazon found its reportedly toxic work environment under the spotlight once again last month after a worker jumped off its HQ building in a suicide attempt. In the time since then, employees have taken to anonymous work talk app Blind to complain about the way the company has handled the incident. The Blind app lets workers – verified using company emails before being anonymized - share details about their firms, such as salary and benefits, but it’s also a way of talking about the sort of things employers would rather be kept quiet. 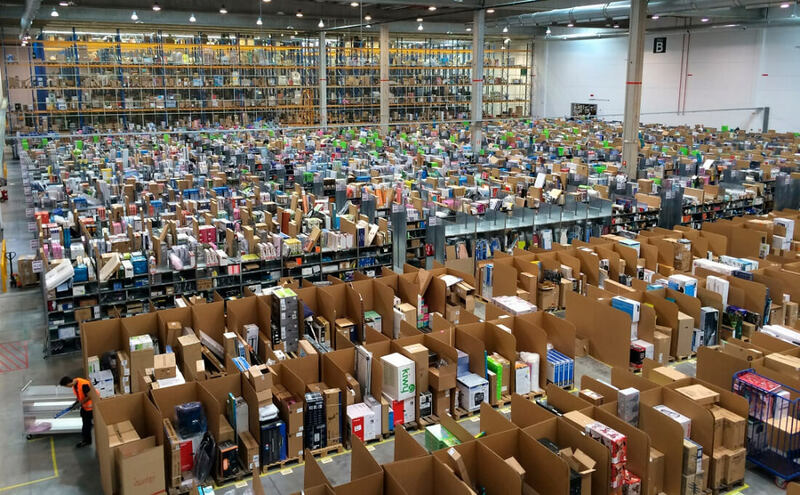 Business Insider reports that in the case of the suicide attempt, a number of Amazon workers criticized the way it dealt with the situation. Its failure to send out a company-wide email addressing the issue was a particular cause for concern. "One of us tried to kill themselves over work, and it seemed like beyond Blind, nobody cared. I didn't see people talking about it, I didn't see any mail from Jeff [Bezos] or my org VP...Life looked normal and mundane. This seems we have normalized this. We shouldn't," wrote one employee. A lot has been made of Amazon’s Performance Improvement plan (PIP). In last year’s damning New York Times report, it was referred to as Amazon code for “you’re in danger of being fired.” The man who jumped from the company’s building had been placed on one, and it comes under a lot of fire from Blind users. "PIP has become a curse, I spent sleepless nights and went into depression for a while and then took charge to overcome it. The stress passes to yourself and the family. I pray someday there is an end to it." Other complaints on the app include Amazon being against unionization, and CEO Jeff Bezos’ competitiveness creating an unhappy work culture. In a poll of 241 Blind users, 41 percent said they would "never want to work at Amazon even if it pays $100,000 more than top offer," while 12 percent said they are employed by Amazon but "never want to work there." There were some people, however, who didn’t place the blame at Amazon’s door. Users pointed out that, despite the firm’s reputation, other factors could have been responsible for the man’s suicide attempt. I wonder if employees happy with their job post on BLIND - or if it is self-selecting. The problem with Amazon’s Performance Improvement plan is that it doesn't provide any support, only more scrutiny. Anyone remember how many mistakes they made in their first Job? The manager (hopefully if you had a decent one) would figure out the problem and show you how to fix it. You need to only make one mistake to get onto Amazon's PIP. That's throughout your entire time working there. Once on the PIP you are closely monitored and if you even have a single mistake, they now have grounds to fire you. In other words, the whole system is setup to recycle employees. It essentially gives them the ability to fire anyone at will, because who seriously doesn't make a single mistake ever. They definitely need to unionize, this is one of the most disgusting systems I've ever seen. cliffordcooley, gibbstar and SalaSSin like this. I just can't understand the mentality of some people. If that dude was unhappy working at Amazon, why didn't he just throw in his ticket and move on to greener pastures? It doesn't make any sense to me. Simple, they want to make it out like Amazon has them by the chains. No, it isn't as simple as you make it sound. People get work pressure and to survive they thrust themselves deeper into work. This causes great strain on their family and friend relationships. They may grow apart and even lose their spouse and friends. Things like these happen all the time. Now, the employee is without anyone to console and comfort him and you put even more pressure on him. People do eventually break. Have some respect for the departed or at the very least, disgust for the modern slavery. Does Apple's handling of streaming music rivals in the App Store violate antitrust laws?